The domino theory was a Cold War era belief popular within the United States from the 1950's until the end of the Cold War. Based on the Truman Doctrine and American containment, the theory held the idea that if Soviet communism was able to spread into a single country, then it had the potential to spread to all of the other surrounding countries. The basic idea was that the American's needed to prevent the first domino from falling (country turning to communism) in order to prevent the spread of communism. 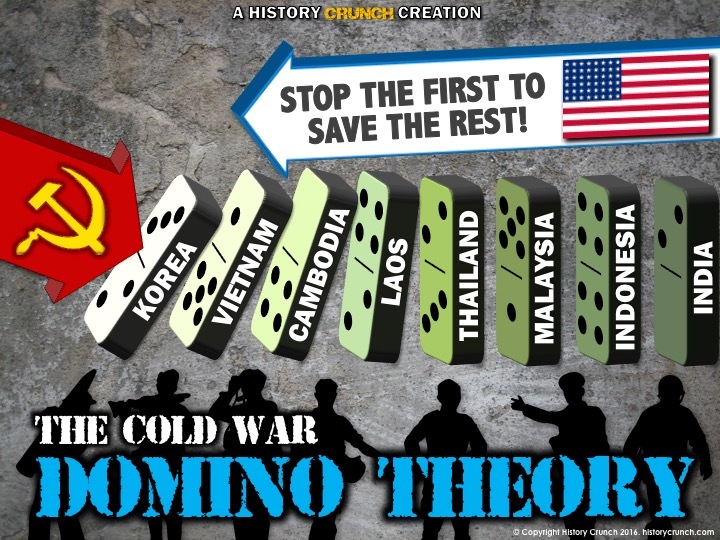 American containment was based on stopping communism any place it spread to, and as such, the domino theory helped explain the perceived need for the United States' involvement in international issues. ​For example, the domino theory was used to justify American involvement in both the Korean War and Vietnam War from the 1950's to the 1970's. Both countries are in the South Pacific and both saw Soviet-style communism spread into their political systems. The Korean War first occurred in the 1950's and saw the country divide between a communist north and democratic south. The United States eventually became involved in the conflict, supporting South Korea on the basis of the domino theory, fearing that Korean communism would spread throughout the rest of the South Pacific. 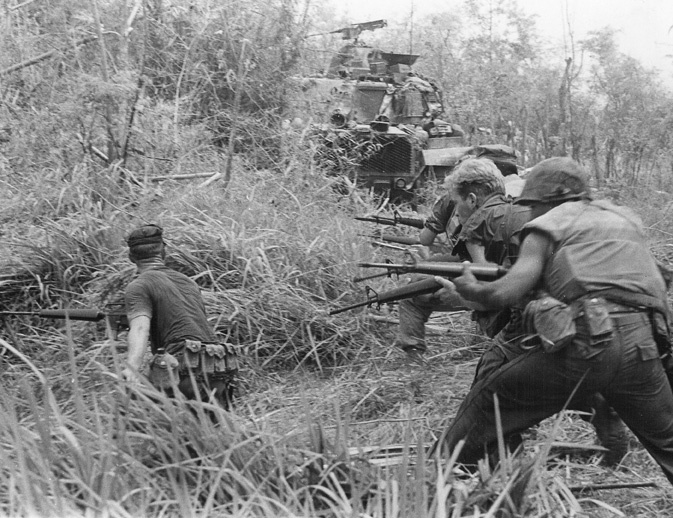 ​American involvement in Vietnam in the 1960's and 1970's was very similar to the earlier Korean War, as the country divided between a communist north and democratic south. Again, the United States became involved fearing that a communist Vietnam would help spread communism throughout the rest of the South Pacific. In the end, the domino theory was important because it explained American foreign policy at the time and saw the United States become involved in two major wars.​ As well, both wars saw the United States struggle and cost the lives of thousands of American soldiers.